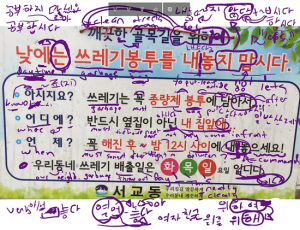 Although our regular lessons present all the grammar and vocabulary you need to learn Korean, they do not offer specific sentences or information tailored to a specific theme. 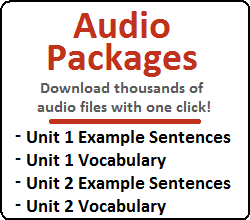 You might be able to find some sentences related to school, some sentences related to weather, and some sentences related to transportation scattered across our various lessons, these are by no means organized in one place. That is… until now. The purpose of our Theme Lessons is to present you with sentences and vocabulary that you would come across in a specific situation. For example, if you were a student (or teacher) in a school, you might be interested in learning sentences and vocabulary that would be useful in this setting. 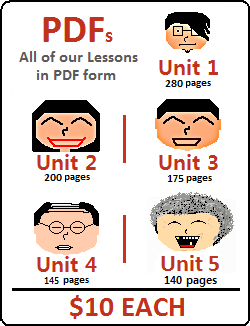 The purpose of these Theme Lessons is not to teach the grammar within the sentences provided. However, in order to understand most of the grammar within the Theme Lessons, we suggest that you complete at least Lesson 25 of our regular lessons. On top of this (especially for learners still in Unit 1 of our regular lessons), there will definitely be some grammar that you are not familiar with. My original goal was to have the Unit 1 Theme Lessons present sentences that only used grammar introduced in Unit 1. I realized that the grammar introduced until Lesson 25 is not sufficient to make a ton of natural sentences. The list above is by no means complete, but by knowing the grammar introduced in Unit 1, and having a general idea of some of these more difficult grammatical principles, you will definitely be able to challenge yourself with learning some great sentences. In addition to the pile of sentences that will be provided, common words that relate to the particular theme will be given. All of the vocabulary words introduced in our Theme Lessons will also be introduced somewhere in our regular lessons. The purpose of these Theme Lessons is to organize all of the words (and sentences) that focus on a central subject. In time, we will continue to update more Theme Lessons to this Unit. 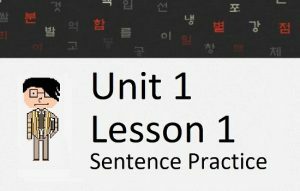 In addition, we will eventually make Theme Lessons that fall under later Units. Theme Lessons under later Units will gradually be focused on more and more complex themes.